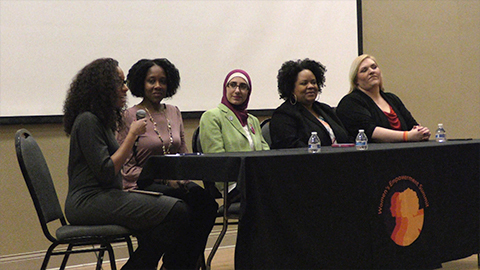 In conjunction with Equal Pay Day 2018, Women of Toledo, AAUW, Adelante, IRise Coalition, and University of Toledo’s Eberly Center came together with a combined vision to organize the 2018 Women Empowerment Summit: Unleashing Your Superpowers to serve and engage a large, diverse group of women in Greater Toledo. The summit’s goals wereto empower women economically, and through self-advocacy while teaching attendees how to soar by unleashing her own personal and professional superpowers. In addition, the summit created awareness and encourage supporters about the Equal Pay Day movement.